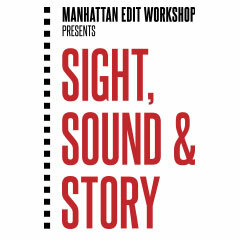 Join Manhattan Edit Workshop trainer and Adobe Certified Instructor Justin Madden and learn how Adobe Premiere Pro CS5 for Mac integrates with the rest of the Adobe Creative Suite to create a one-step solution for content creators across web, mobile and the big screen. The HD-DSLR for video acquisition is here to stay. Justin will demo the powerful Adobe Premiere Pro Mercury Playback Engine working with native DSLR footage. With the right Mac hardware configuration, there's no faster way to get your DSLR edit going - no more transcoding - no more waiting around. Friday February 25, 2011 at 4pm - 6pm. Register Here. After processing and printing motion picture film at Bono Film Labs in Arlington, VA, Justin moved to New York City in the beginning of 2000. He began teaching Editing at the New York Film Academy, eventually serving as Post Production Department Chair and supervising the edit lab.? In 2007, he worked with Giant Studios on set of I Am Legend, shooting motion capture with the VFX department. Since then, Justin has shot, edited and created motion graphics for corporate and educational promos, music videos, and long and short form documentaries. 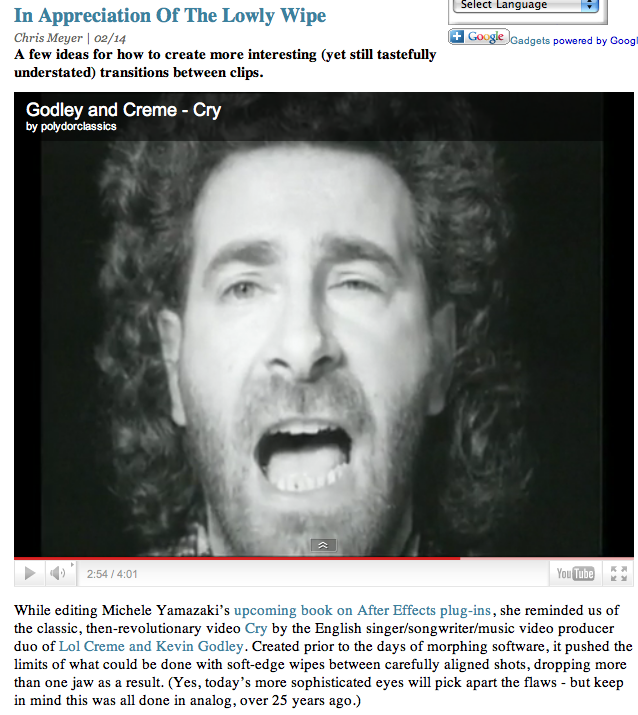 ?Justin is an Adobe Certified Expert and teaches all levels of After Effects. Milpitas, CA – February 22, 2011 --- Blackmagic Design will host a free DaVinci Resolve for Mac training workshop in cooperation with the Manhattan Edit Workshop (MEWshop) on March 9, 2011. 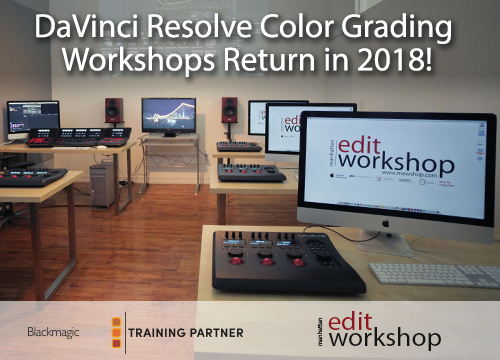 The two-and-a-half-hour session, hosted by FILMSYSTEMS’ David Catt, will provide an introduction to the DaVinci Resolve for Mac non-linear color correction system, showcase proper set up and integration tips, provide how-to’s and detail Resolve features and capabilities. For more event information and to register for one of the workshops, please visit http://resolveny0309.eventbrite.com/. Blackmagic Design creates the world’s highest quality video editing products, color correctors, video converters, routers, waveform monitors and film restoration software for the feature film, post production and television broadcast industries. Blackmagic Design’s DeckLink capture cards launched a revolution in the television industry, while the company’s DaVinci Emmy™ award winning color correction products have dominated the television and film industry since 1984 and continue ground breaking innovations including stereoscopic 3D and 4K workflows. Founded by world leading post production editors and engineers, Blackmagic Design has offices in the USA, UK, Japan, Singapore, and Australia. For more information, please check www.blackmagic-design.com. Kicking off the 2011 Artist in Residence program on February 10, Manhattan Edit Workshop welcomed Bobbie O’Steen, Emmy-nominated film editor and critically acclaimed author. 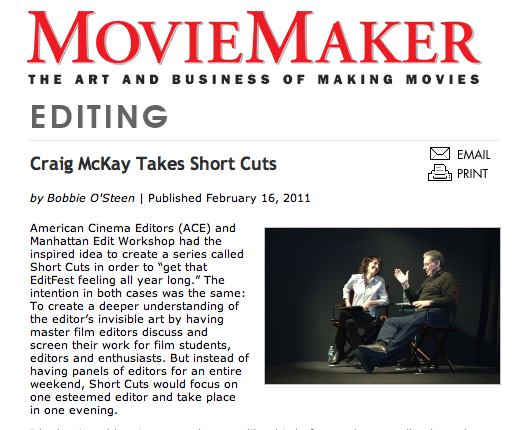 Following her extensive work in the cutting room, Bobbie wrote Cut to the Chase, based on interviews with her late husband and colleague, legendary film editor Sam O’Steen. This fascinating book takes the reader behind the scenes of some of the most influential movies in motion picture history, including The Graduate and Chinatown. 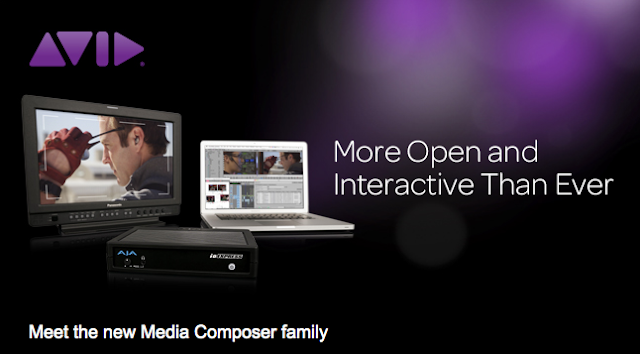 Check out the new Avid Media Composer 5.5 here. Writer, Producer and Editor Allan Title describes how he crafted a dramatic story out of limited footage for a pilot reality show called "Arctic Roughnecks". For more information on Editfest NY please go to editfestny.com. DVD gag reel from Inglourious Basterds. I own nothing. Just want to share the love! "Quentin Tarantino has referred to Sally Menke as his greatest collaborator. [...] Quentin likes to send greetings from the set to Sally in the editing room. The following are 'Hi Sallys' from the set of Inglorious Basterds. In this intensive, one-day course taught by our instructor Justin Madden, we'll tour the major features of Adobe After Effects. After learning the interface, we'll dive into importing assets and timeline animation. We'll round out the morning with effects, nested timelines and rendering. After lunch, we'll launch into some of AE's advanced features, such as Bezier masks, chroma keying, text animation and some advanced effects. 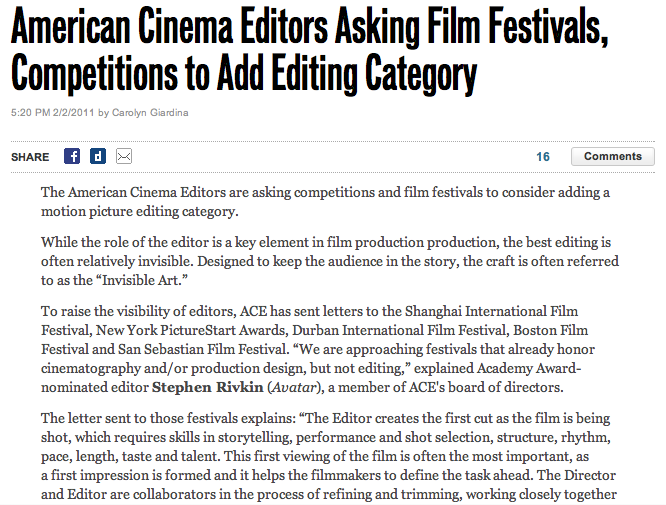 By the end of the day, you'll know After Effects well enough to get tons of real-world work done. 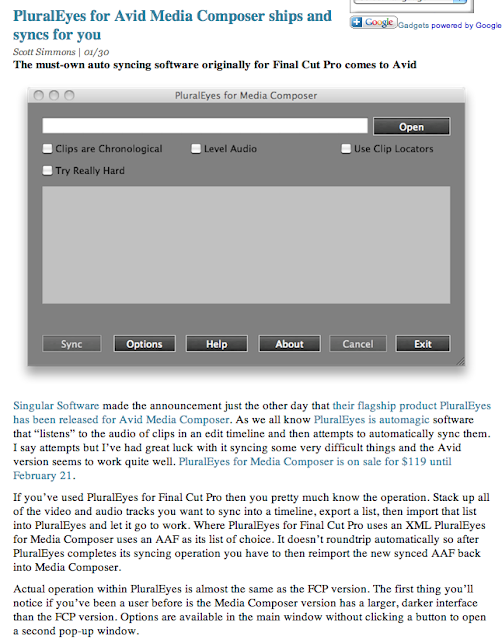 You'll also leave with a list of resources you can use to gain further knowledge and take your After Effect's work to the next level. Timeline Animation and the Comp Panel.